Home Opinions	Is it time for a home economics comeback? Is it time for a home economics comeback? Tax-free savings account. RRSPs. Writing a cheque. Credit score. Credit debt. Cooking. Buying. Saving. Being healthy. Is five dollars for a pint of strawberries pricey or a steal? As students in our 20s, these are things we should know about, but many of us don’t. While the “live and learn” philosophy is all well and good, I believe there is an underrated beauty in learning before living… for certain situations, that is. I feel that burning a few shepherd’s pies before learning what “broil” means is a live and learn lesson, but I’m sure many young adults would have preferred to learn how to use a credit card before living a life ridden with debt. I think certain passages into adulthood we laugh about should perhaps be taken more seriously. The title “Home Economics” may transport many to an outdated, sexist concept that no longer has a place in 2017. This is where I disagree. I myself have been quick to snub home ec. A class to learn how to make a grocery list? C’mon. But it’s only as outdated as we deem it. Do we snub it because of the stigma attached to it? Is it the word “home” in the title that reminds us all too much of the home-maker penchant the class once had? Eventually, we will all need to take care of ourselves, to “adult,” as it has commonly become known amongst millennials. So, is home economics actually outdated? Or has our country just pushed basic life skills down too many notches on our societal list of priorities? Burnouts have become normal. People hate Mondays. “Not having it together,” or being “a hot mess” are trends. Sites and blogs like Buzzfeed and Elite Daily curate humoristic, relatable lists to make us feel better about our binge drinking, spending and bad eating habits, cajoling us in our laziness and indulgent habits. I’m not saying I’m above those lists—I love those lists. Ever seen the meme of The Office’s Kevin Malone spilling a big pot of chili with the caption, “Me trying to get my life together”? Hilarious. Relatable. But isn’t it kind of worrying just how relatable it is? According to Credit Cards Canada’s website, in 2016, the average credit card debt per Canadian was $3,954. According to the Canadian Federation of Students, the collective student loan debt in Canada is estimated at $15 billion. Credit card companies and banks can start soliciting customers as soon as they turn 18 in all provinces except New Brunswick and Nova Scotia, where the minimum age is 19. According to a 2016 survey conducted by Manulife Financial, “31 per cent of millennial respondents feel it’s not a ‘big deal’ if they carry a balance on their credit cards.” Additionally, the survey found that millennial homeowners are least prepared in terms of emergency funds. In addition to debts and financial stresses that young adults are increasingly being faced with, studies show that millennials are increasingly stressed and miserable. According to the 2015 Global News Ipsos Reid poll, which surveyed 2,010 Canadians between April 16 and 20, 2015, more than half of Canadian millennials have a high risk of developing mental health issues. “Wright pointed to societal issues, such as a low employment rate and rising living costs, as pressures that weigh on millennials,” wrote Global News journalist Carmen Chai, citing senior vice-president of Ipsos, John Wright. Ipsos is a Canadian market research company. While these findings are worrying, things are changing, and a public conversation is happening in Canada. Quebec’s education minister, Sébastien Proulx, plans to introduce mandatory economics classes in Quebec high schools as of September 2017, according to CBC News. Additionally, the conversation on the topic is becoming more widespread. Publications like the Globe and Mail and The Huffington Post have featured opinion pieces on the importance of home economics and financial literacy for teenagers and young adults in Canada. I moved out at 17. I had some money saved up, I was always independent—I felt ready. I grew up in a household where I had to be responsible. I would clean and cook. I knew how to do laundry. But when you actually get your own place, when you become financially independent, you’re alone. There’s a shift, and it’s hard. Learning to pay rent, finding roommates, being a good neighbour, being a good tenant, writing a cheque, managing my finances, knowing my rights as an employee, feeding myself correctly… all while turning 18 and trying to have fun, go to school and come into my own as an adult—it’s tough. When you’re not prepared, it can bring you down. 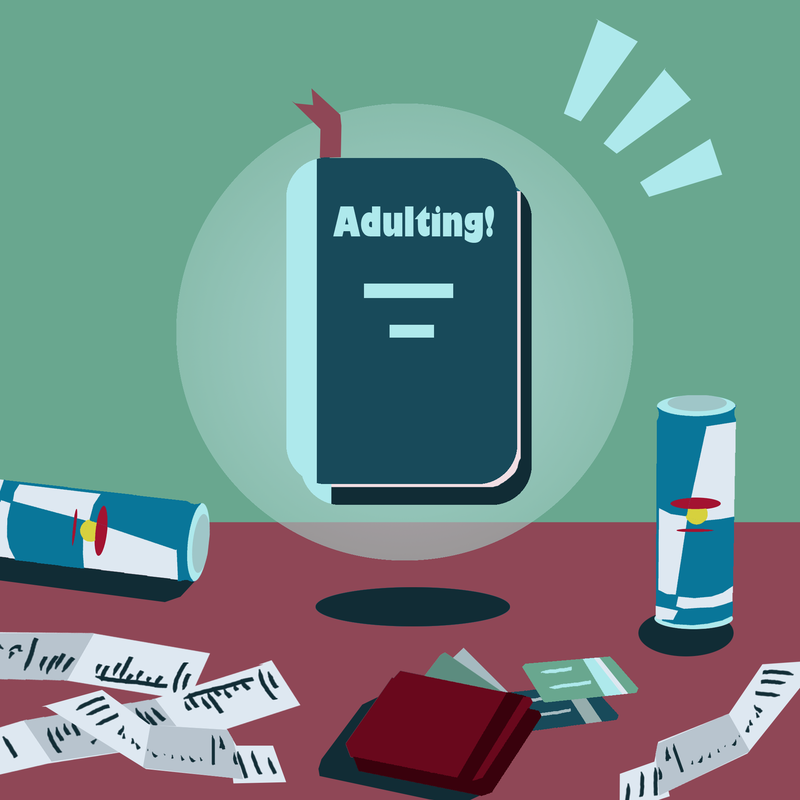 Now, at 21, I feel confident in my adulthood, but it took a burnout to get there. While I know I have a lot to learn, I know how to manage my personal finances and I am not scared to stand up for my tenant, student and employee rights. I know what a pint of strawberries on sale should cost. I am not sharing my experience to complain about natural adjustments to adult life, but rather to shed light on the fact that a lot of emotional turmoil I faced in my transition to adulthood could have been prevented had I had some kind of “adulting” training.